Medisoft® Clinical brings together the latest practice management system, Medisoft®, with an advanced, award-winning EHR at a value that independent physician practices can appreciate. Medisoft® Clinical features Bright Note Technology. Plus is a web-based EHR solution built from the ground up to minimize complexity and maximize ease of use, based on the industry's most proven solutions for independent physician practices: Solution Series, Lytec, Medisoft and Practice Partner. DentiMax offers easy-to-use, full-featured dental office software that completely integrates dental practice management, digital imaging and patient clinical charting. DentiMax combines easy-to-use screens with a complete feature set and industry leading low prices. 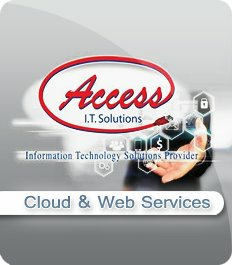 A full-service trained and certified South Florida Medical IT consulting company, Access IT Solutions provides expert IT consulting and systems specifically designed, integrated and installed for use in managing medical offices, health clinics and dental practices. As the leader in South Florida medical IT consulting, you will find that our philosophy is one of building a long-term partnership with our clients — medical offices, health clinics, therapy centers, dental practices, Medical Billing services and other professionals, corporations and institutions in the field. Today, our main focus is on providing, installing and setting up the best Electronic Health Record (EHR/EMR) systems and assisting in their successful implementation. This is the next step in the evolution of South Florida medical IT consulting in the medical office. Access IT Solutions carries top-of-the-line IT products from trusted and proven developers. Our South Florida medical IT consulting team is always prepared and ready to assist you in the adoption and use of the technologies that best meet your needs and deliver the maximum authority, productivity and edge to your business. © 2010 - 2019 Access IT Solutions, LLC - Sales & Support 1-305-671-3937 - Terms and Conditions.